As the UK’s largest documentary film festival, Sheffield Doc/Fest has been a the prime platform for experienced as well as new filmmakers to develop and showcase their work; this year is no exception. This year’s festival will run from June 5-10, 2015 and will feature 150 films from 35 countries. Oscar-nominated director Joshua Oppenheimer’s “The Look of Silence” will have its UK premiere opening night at the Sheffield Doc/Fest. The five days that follow will be jam-packed with screenings and Masterclasses with filmmakers including Oppenheimer, Brett Morgen (“Kurt Cobain: Montage of Heck”) and Jeanie Finlay (“Orion: The Man Who Would Be King”). Edie Bouvier. 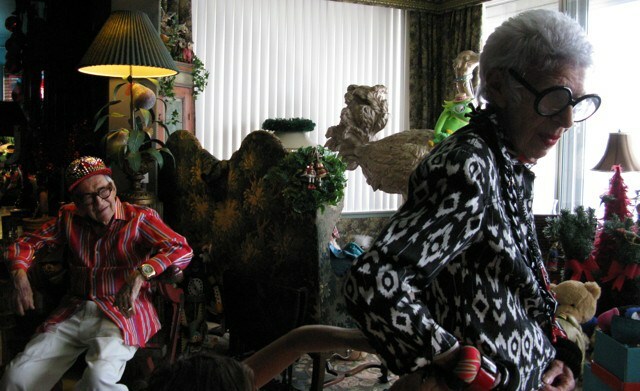 Rebekah Maysles, Albert Maysles’ daughter and co-producer of “Iris”will participate in a Q&A. The Sheffield Doc/Fest will close with the highly anticipated international premiere of “Monty Python: The Meaning of Live,” offering fans an inside look on the cast’s personal relationships and insecurities. Dutch interactive pioneers Submarine; and BAFTA winning Disney Animated. READ MORE: Making a Living as a Documentary Filmmaker Is Harder Than Ever. Here’s Why.